The recent arrival of two new Genie® scissor lifts provides bold new solutions for customers who need reliable and safe access in high indoor spaces and those operating in a rough terrain, outdoor situation. The Genie® GS™-4047 and the Genie® GS™-4069 DC models have already generated significant enquiries with rental companies around Australia. 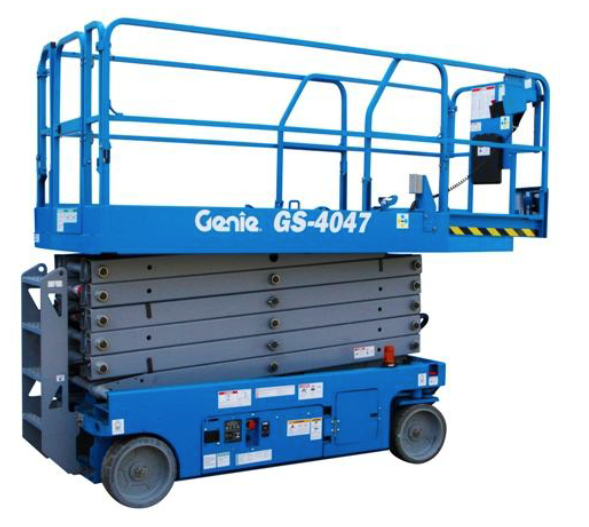 The new Genie GS-4047 is a purpose designed full drive-height self-propelled electric scissor lift that meets the demands of tightly packed, high rise indoor spaces. 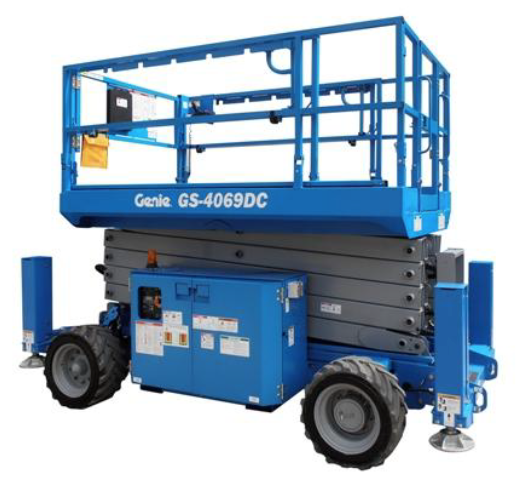 The GS-4047 lifts up to 350 kg to a maximum working height of 13.70 m and a platform height of 11.70 m.
With dual front-wheel drive and zero inside turning radius, combined with a compact footprint of just 2.49 m long and 1.19 m wide, the GS-4047 is ideal for manoeuvring around tight restrictive work environments. This model has been specifically designed for use in lofty spaces where access is very tight,” said Brad Lawrence, General Manager of Genie in Australia. This is a totally new model which has been engineered to deliver the best balance of access height, lift capacity and powerful drive to meet customers needs. This is a resilient scissor lift which boasts the latest Smartlink™ control system and a host of other features which make this one of the most durable and reliable models in the market. In outdoor, rough terrain applications, the new Genie GS-4069 DC has the credentials to handle a multitude of work site situations. Uneven ground, roadside kerbing and slippery ground are just the domain where the Genie GS-4069 DC rough terrain electric scissor lift excels. Available in, 26’, 33’ and 40’ heights, the new series offers full drive-height for all models. “We have found the new features on the Genie GS-4069 DC makes this model in high demand in the Australian workplace,” said Brad Lawrence. The active oscillating axle is designed so that all wheels remain on the ground to deliver superior traction even on undulating surfaces. This is standard on all models and adds to the versatility of each unit. This makes the Genie 69 DC series a smooth operator inside a factory, while still being a rugged performer outside on the work site. Terex AWP engineers have opted for brushless AC drive motors to power these new units, which require virtually no maintenance and have the added benefit of running cooler and cleaner than previous models. AC motors offer improved battery efficiency, so they deliver more work hours between charge cycles. Auto-levelling outriggers provide exceptional levelling capability, a feature rarely seen on non-diesel scissor lifts. At the touch of a couple of buttons, the outriggers can simultaneously be activated to level the unit.